Good morning! Alicia here today for the Dies R Us Inspirational blog. I have created an any occasion card using an embossing folder and die. 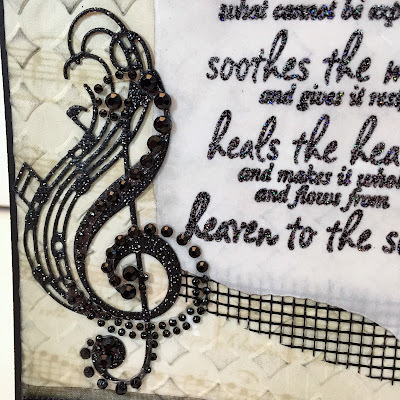 I was amazed with at how smoothly the Cheery Lynn Designs Whistle a Happy Tune die cut the very first time! It is so intricate but with only one pass and a gentle hand the die ejected perfectly. I had to punch out a couple of slivers of paper but they came out easily. Here's a close up of the treble clef. 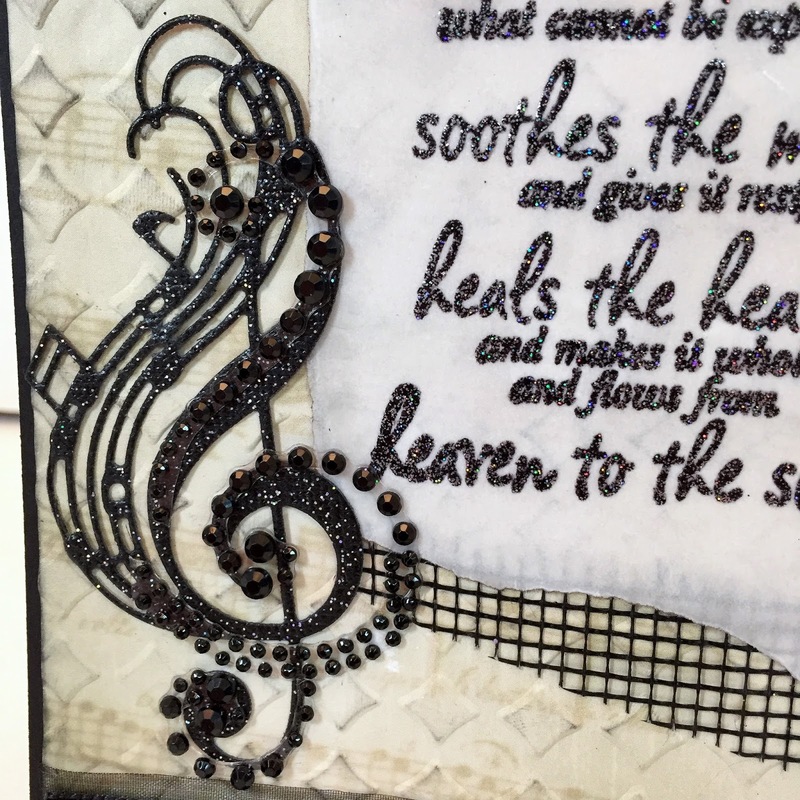 I used some bling flourishes in black to enhance the die cut. They didn't match up perfect but I think it adds so much to the cut. The bling does accentuate the music note nicely. Great idea. This is BEAUTIFUL Alicia and what a sweet message! Your added gems to the musical note are perfect ... they certainly did enhance it! Great job and wonderful inspiration! Thanks! 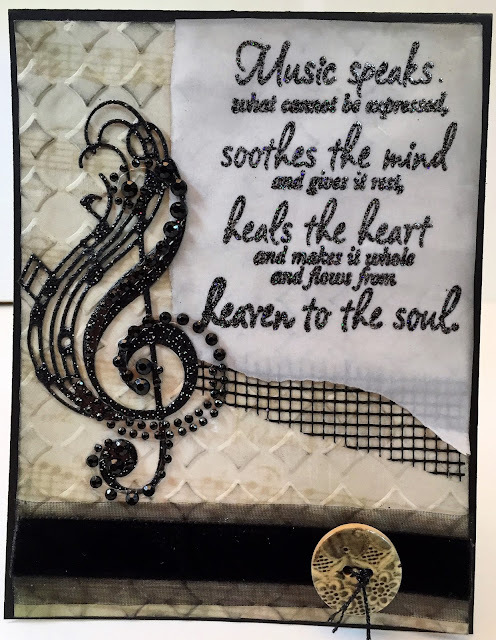 Beautiful card, Love that embossing for the background and the way you embellished that die cut is just wonderful, lovely touch with the sentiment on the vellum!! This is so pretty Alicia! The gems are a nice touch to that delicate treble clef. A beautiful, beautiful card! !